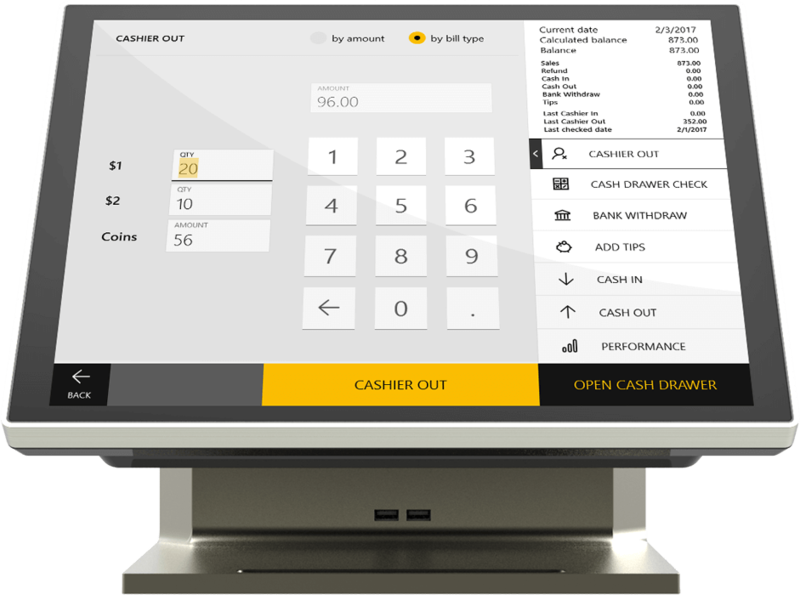 Receive payment via traditional card, cash or new mobile payment via customers mobile device/application. 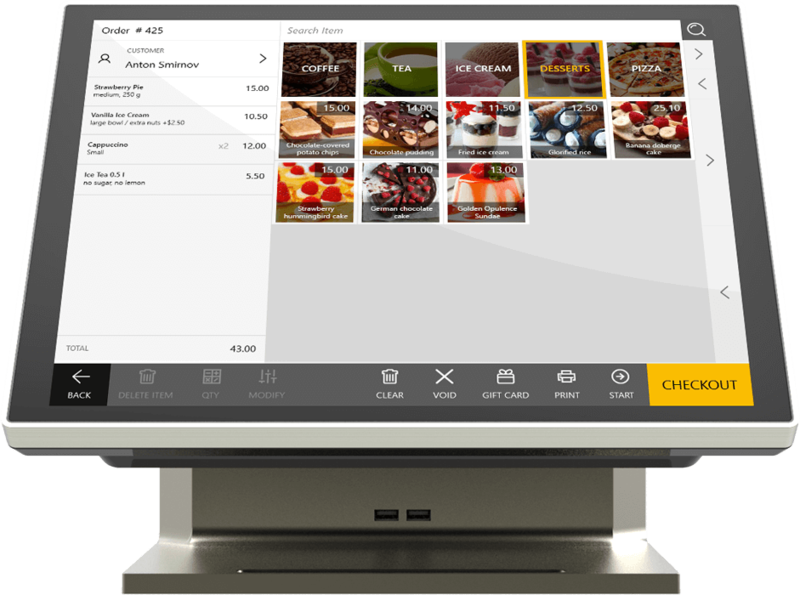 Choose product categories and any additional individual options to cater for every customer. 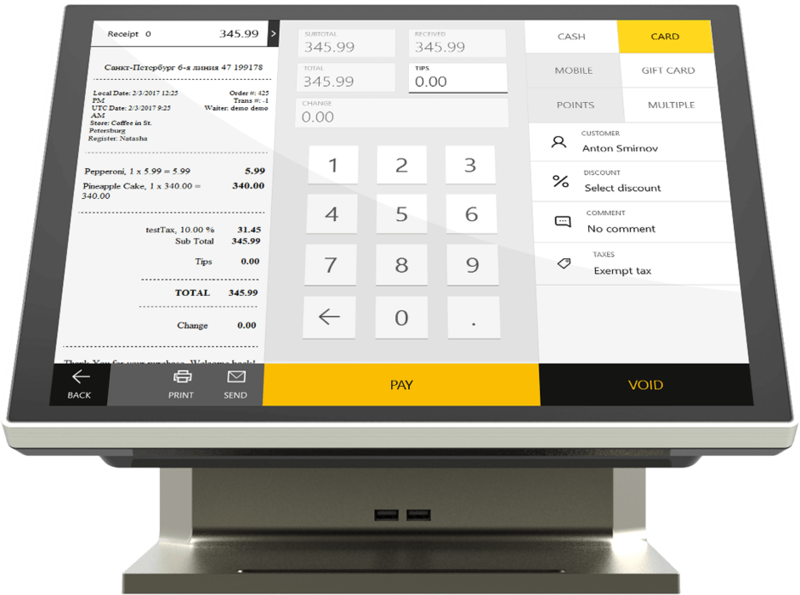 Apply customer loyalties, sell gift cards with our simple user friendly interface. 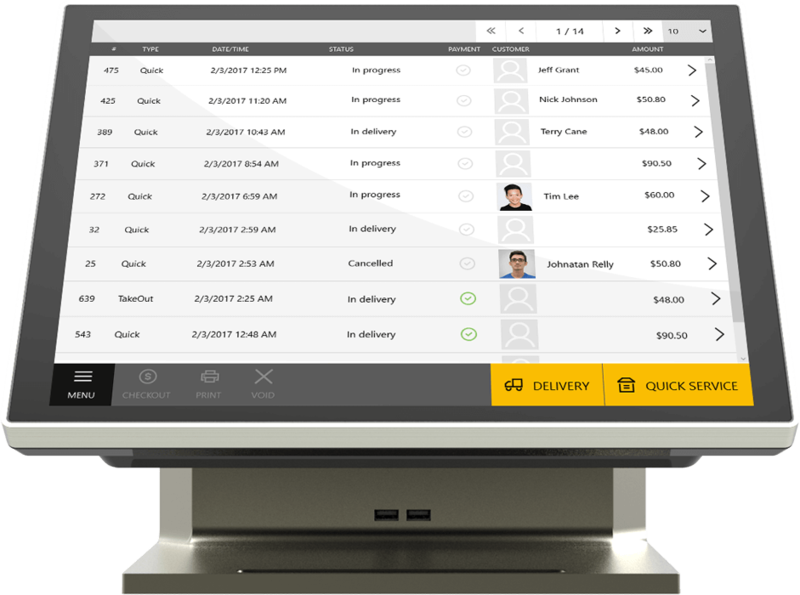 Create orders and track process of delivery. 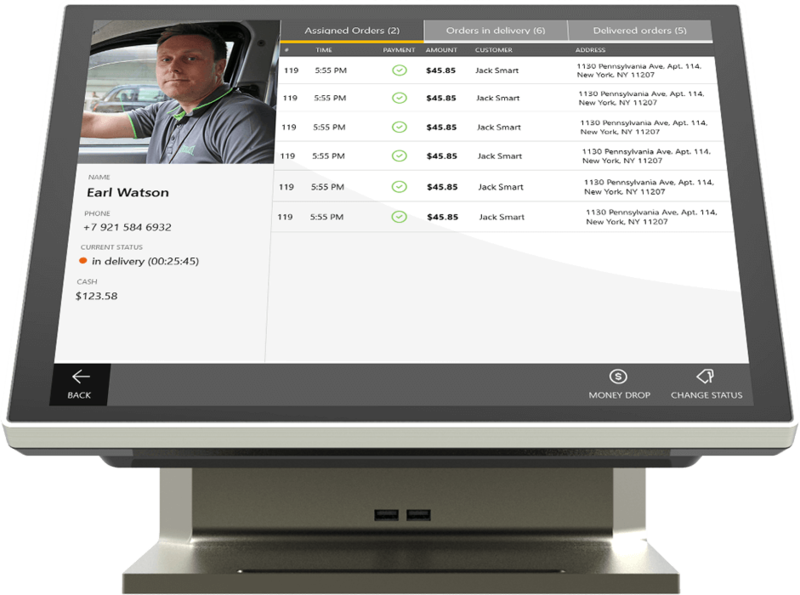 Distribute orders between drivers and track delivery process. 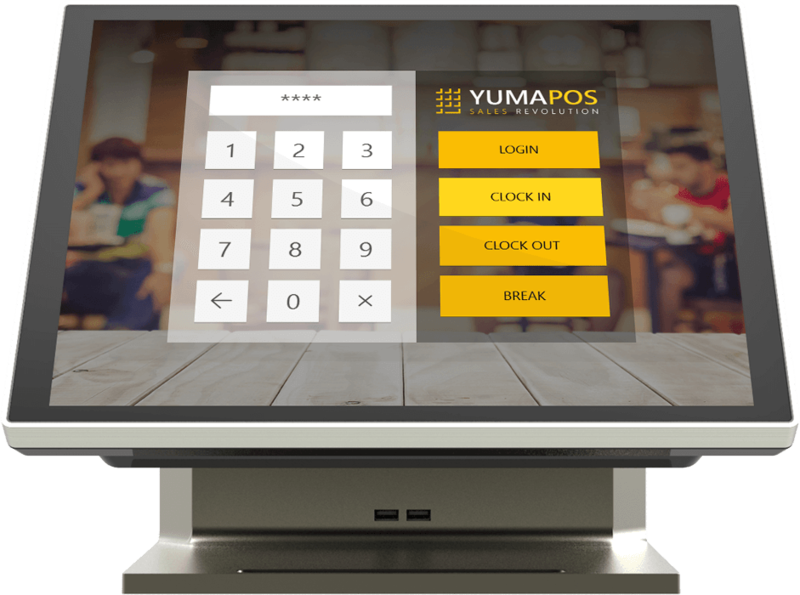 Instead of traditional loyalty cards POS Terminal communicates with customer mobile application. 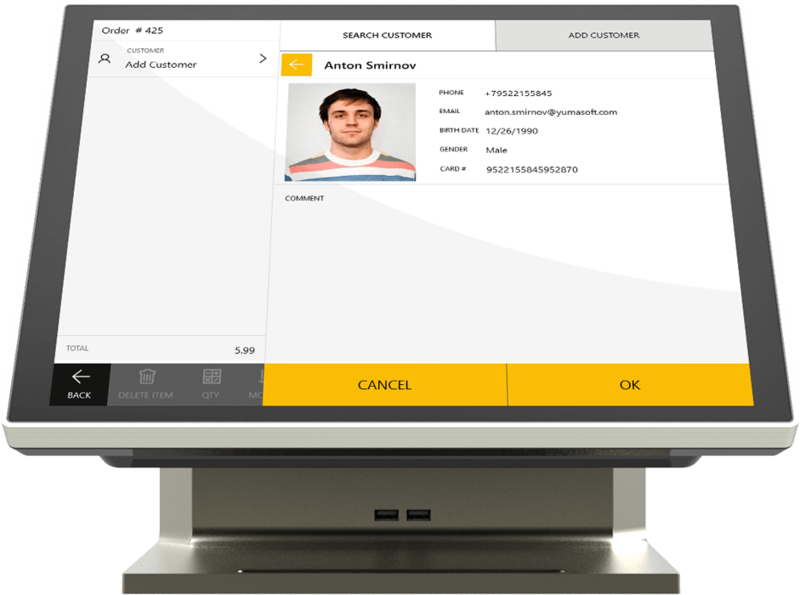 That simplifies processes of client identification, awards and discounts applying to the orders and finally makes easy to get customer payment via mobile app. 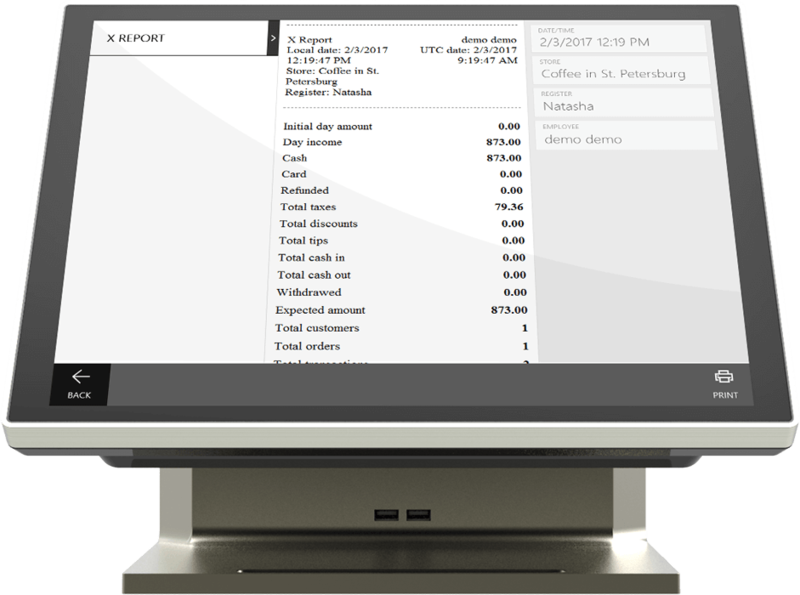 Keep detailed data about your current cash/credit balance, paid outs, processed transactions, X reports and End of shift information.